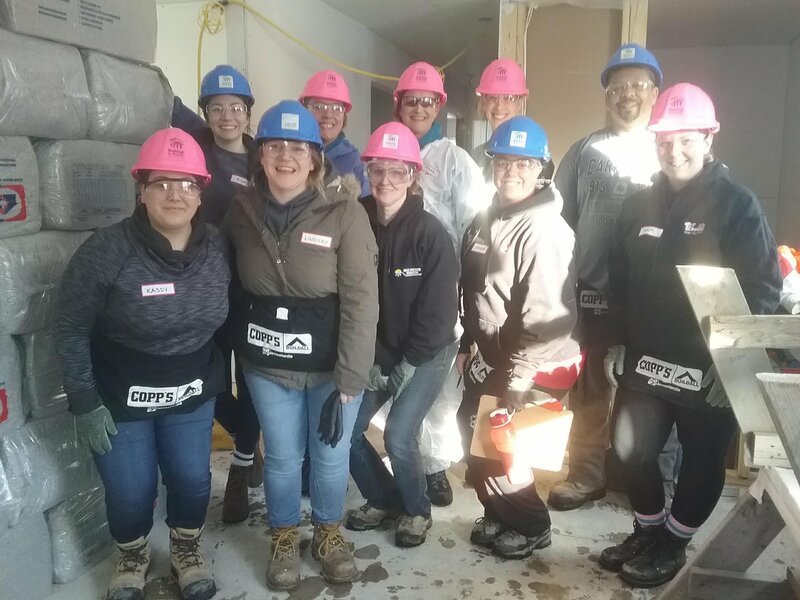 1st Choice Home Solutions donated a roof for both homes and worked together for a team build for Brianne and her son. 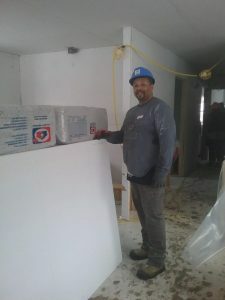 Les, our Production Manager had over 30 years of experience in the dry walling business which was perfect for our jobs that day. Les put on his belt and hard hat and went right to work! His skills allowed most of the dry walling to be done that day! 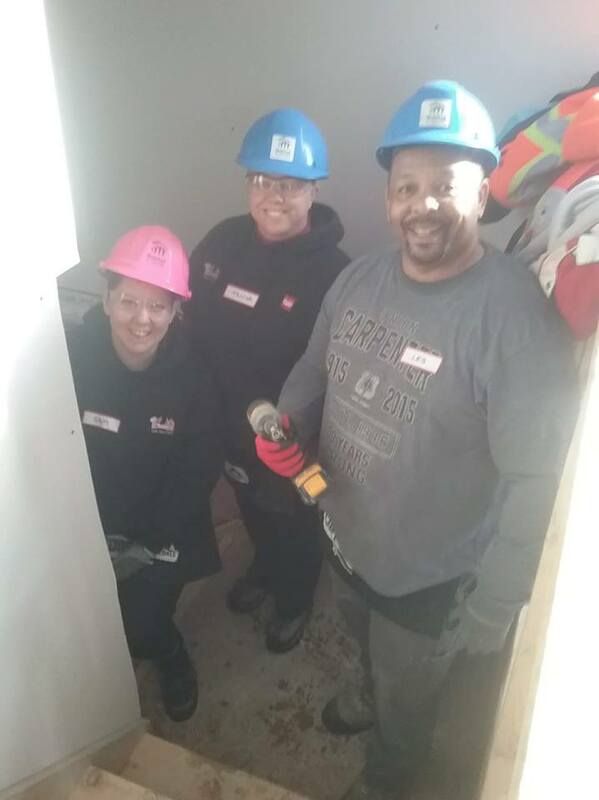 Tanya, our General Manager and Samantha, our Director of Marketing & Receptionist were able to learn some valuable skills from Habitat and their team of volunteers. They worked together with Les to get the dry wall up in a very tricky area but had a lot of fun helping! 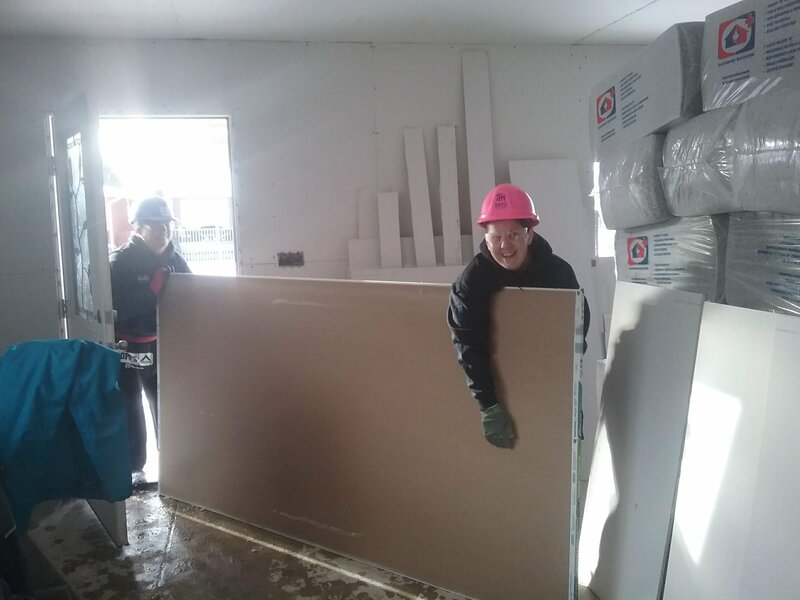 1st Choice Home Solutions were also on site with another volunteer group from Great Northern Insulation. 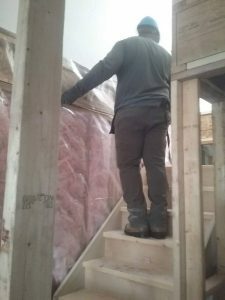 They were able to have insulation put in the attic as well as the basement. For lunch Brianne's family generously donated lunch for every which included meatball sandwiches and treats. The weather was cold but luckily we were inside warming up! 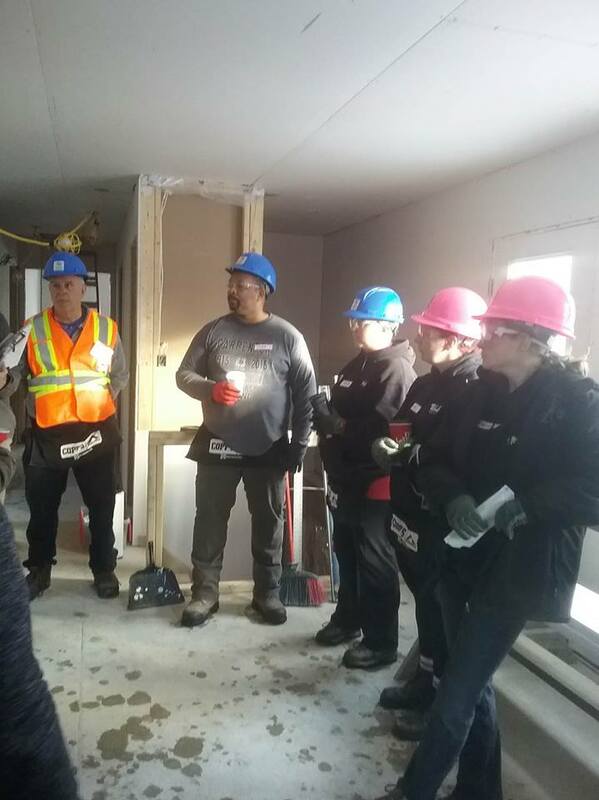 Overall It was another successful team building exercise for the staff at 1st Choice Home Solutions and allowed us to give back to a wonderful charity that we believe in.